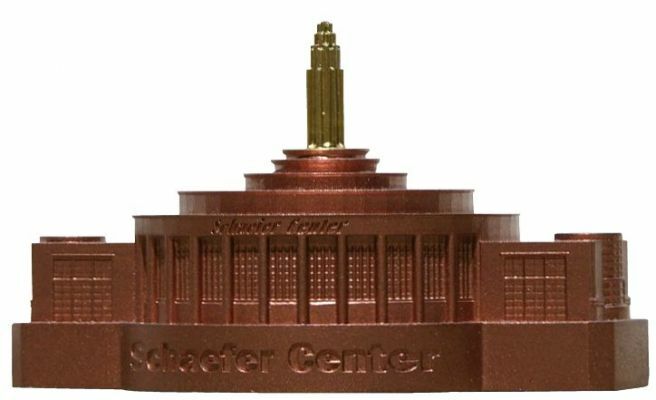 The Schaefer Center at the 1939 New York World's Fair was designed by Eggers and Higgins. The circular restaurant had a seating capacity of 1600 and an open air bar 160 feet long!. Our pewter casting is 2-1/4" tall x 3-3/4" wide and is finished in new copper with gold highlights.